Conveniently Located Between Orange Theory Fitness and Phoenix Children's Academy in the Shops at Pecos Ranch. Please schedule appointments in advance when possible. We understand that life happens. If an emergency arises, call our office and we will do our best to see your child as quickly as possible. If you are unable to keep your appointment, please call our office at least 24 hours in advance. If you are late to an appointment, we reserve the right to reschedule your child’s appointment for a different day and time. Please plan on arriving at your appointment at least 20 minutes early so you have time to complete paperwork and update your child’s health and dental insurance information prior to your assigned appointment time. 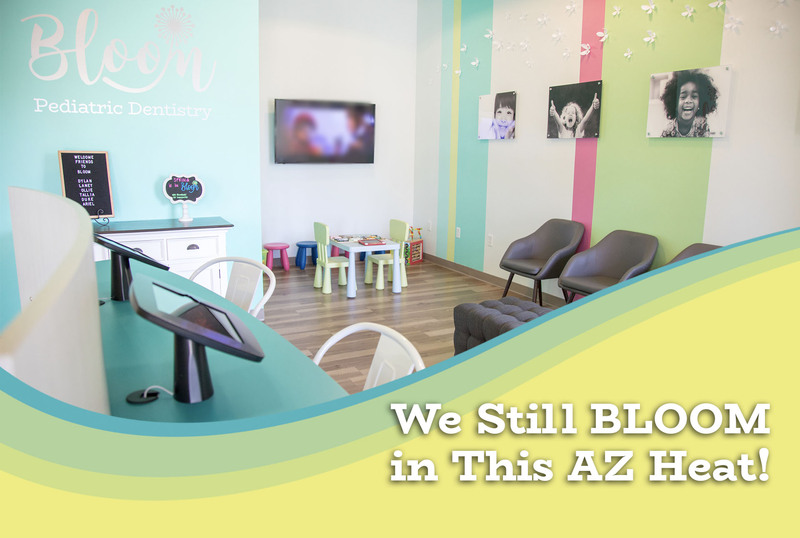 Bloom Pediatric Dentistry expects payment in full, co-payments, and insurance deductibles at time of service. We accept cash, checks, credit cards, and CareCredit®. Payment plans are available – please ask for more information. Although we are not contracted with any dental insurance companies, as a courtesy, we are happy to file dental insurance claims on your behalf. Many dental insurance companies, including Medicaid, will cover all or a portion of the services rendered at our office. During your first appointment, we will provide you with full a copy of our financial policy. Please call for more information. We are happy to help clarify our payment policies and we look forward to helping you understand your dental insurance benefits. We welcome parents to accompany their children throughout their entire appointment. 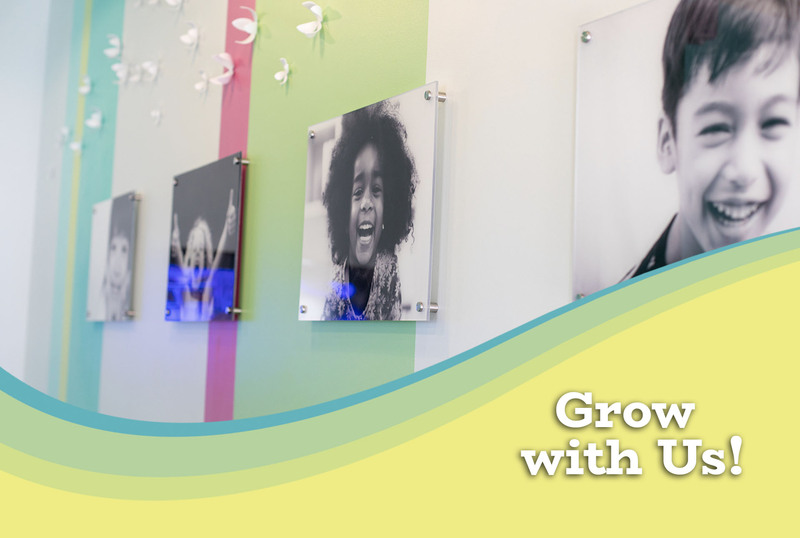 If you want to join your children in the back, please help our team create a fun and upbeat experience – and allow us to lead the appointment, exam, and conversation. We want you to stay with your child! However, during dental treatment, there are some rare instances where we may ask you to step outside of the room where you can still view what's going on through our glass door and glass window in order for us to gain the trust and cooperation with your child. We strongly value transparency and have found this to be effective while parents can still observe what's going on. We will gladly explain and give you a tour of our treatment area prior to your child's operative appointment. 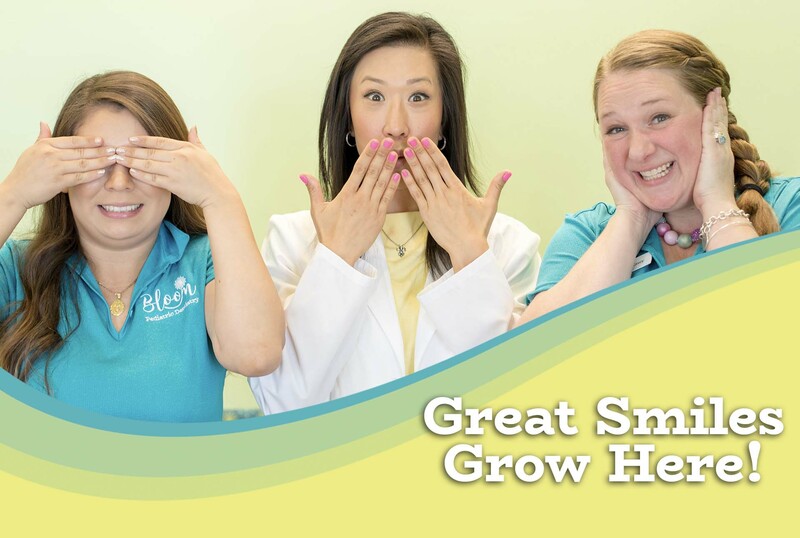 We look forward to meeting you and your children - and helping them feel confident in the dental chair!